Can we find a way to clone Javy Baez? Like, quickly? Ideally, that would be the Cubs’ best option for some of their roster problems in the middle infield. Just have Javy at both shortstop and second base. There’s a great argument to make for keeping him at short, where he is an elite defender with a Herculean arm. However, that description also fits at second, where his lightning-fast tags are part of what makes him so much better than the average player. For now, the Cubs are heading into 2019 with Javy penciled in at shortstop to start the year. Whether he stays there for more than a month really comes down to someone else staying on the roster. The Cubs could go out and get a second baseman this winter on the free agent market that would allow Javy to stay at short. Or, the Cubs could make a trade for either a shortstop or second baseman. Help is close, though, as Zack Short is almost ready. Ranked as the best defensive shortstop in the Southern League in 2018, Short will begin his AAA tenure in 2019. With a great eye at the plate and the potential for power, his inclusion in the discussion at the MLB level is exciting. But Theo Epstein will more than likely have something up his sleeve when it comes to filling in as a backup or even as a starter, allowing Javy to slide back to second. Last year’s shortstop prospect rankings saw several unproven players make the list. Aramis Ademan was at the top, followed by Short, Luis Vazquez, Delvin Zinn, and Andruw Monasterio. 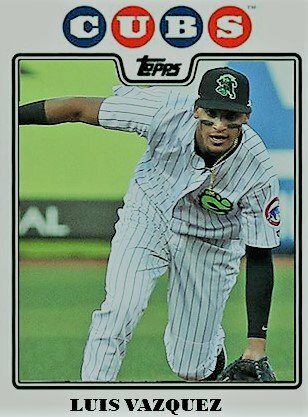 Ademan struggled mightily; Vazquez shined on defense with Eugene; Zinn proved he could play all over the infield when healthy; and Monasterio was traded to the Nationals, then to the Indians. Between the draft and production at the lower levels of the minors, the position at which the Cubs once had “too many” prospects is back to being a strength. Several players could really separate themselves over the coming year. Named at the No. 6 prospect in the Arizona Rookie League by Baseball America, Verdugo comes in at that same spot here. He had a rough beginning in July but really came on in the second half of the season at Mesa and showed that he might have some pop, too. He put himself on the radar with a 149 wRC+ as a 17-year-old shortstop in the Dominican Summer League. I am taking a wait-and-see approach on him as he likely debuts stateside in Mesa next summer. I love watching this young man play defense. He plays like a panther because he just prowls the field and gets to a lot of balls others cannot. He turned 19 in October and the bat will come in due time, but his defense will carry him for a couple of years. Last year’s No. 1 slips two spots because he struggled mightily at the plate and should get a do-over this season at Myrtle Beach. He looks like he belongs defensively, but the offense was not good at all. He was susceptible to pitchers who changed speeds a lot and will need to improve his approach in 2019. He’s never going to hit for a high average, but he will get on base and crank out some home runs. A wRC+ of 129 at AA Tennessee shows his offensive potential. 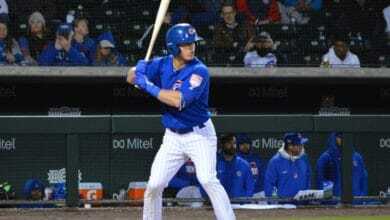 What should really have Cubs fans drooling is his 15.6 percent walk rate and 17 home runs. If you want to find a sleeper, look any further than 17-year-old Pedro Martinez. Yes, you read that right. The switch-hitter with a Hall of Fame namesake did very well in the Dominican last year, hitting .310/.398 with a wRC+ of 139. He will probably be in Mesa for the 2019 campaign.